For the ’60 Chrysler I had some special dragradials made by Hurst Racing Tires in California. They use a brand new tire on which they vulcanise a vintage style tireshape in a soft rubbercompound, perfectly suited for dragracing. 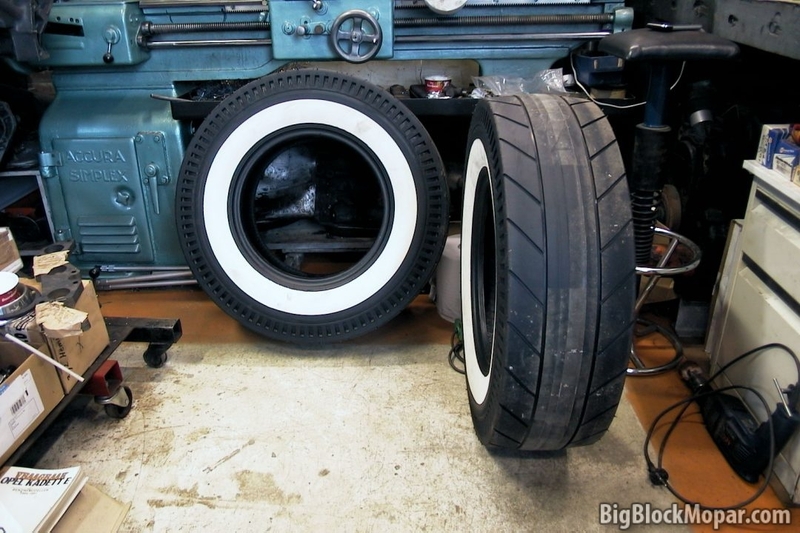 They also shave down the raised white lettering on the tires to end up with a nice whitewall. Besides the extra grip these tires provide, I have also always liked their look so I had a pair made recently. 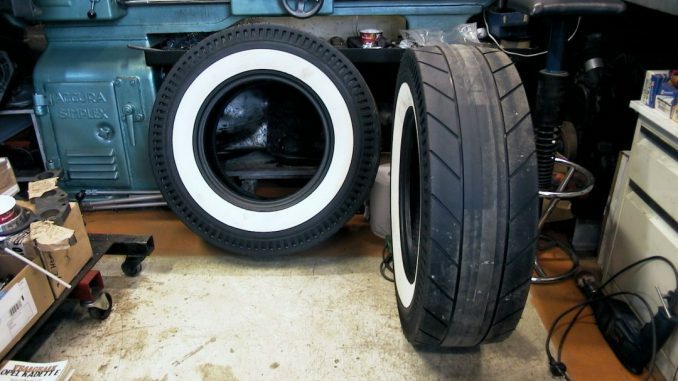 The tires will be mounted on a pair of Astro Supremes, or perhaps a set of plain steel wheels.